ROBERT INDIANA RARE FABULOUS BEAUTIFUL SCREENPRINT. Complete set of 12 screenprints on A.N.W. Crestwood Museum Edition paper with full margins, and accompanying 12 poems, all signed, dated `96' and in pencil (there were also 50 artist's proofs), published by American Image Editions, New York, all contained in original brown paper-covered portfolio. Artwork is in excellent condition. Certificate of Authenticity included. 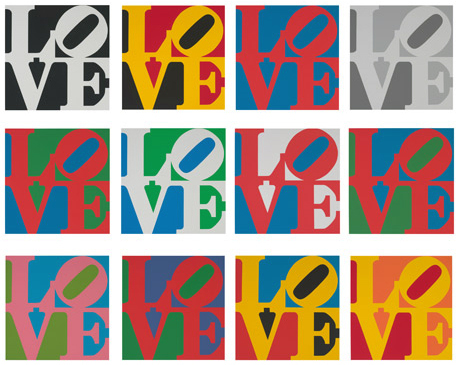 Click the button below to add the Signed The Book Of Love Suite By Robert Indiana Retail $10K to your wish list.